Re-Read 08.26.13: So much for doing a quick skim of this book (which I just realized I read exactly one year ago, lol) - Luke and Ava sucked me right into their story. I couldn't put it down! In fact, I think I enjoyed it even more this go-around because I've read all the previous books in this series now and I get why Luke said and did certain things. These books definitely pack a more powerful punch when they're read in order! Now, onto Rock Chick Reckoning! 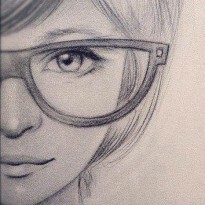 "The best way to guard your heart is to trust a good man to take care of it for you." What a great book! 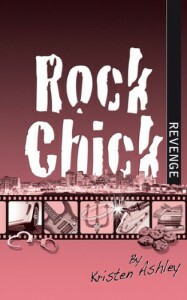 Ava was a fun heroine; sassy and just crazy enough to be a Rock Chick. Like all the Rock Chicks before her, Ava has a problem and she seeks out a member of the Hot Bunch, Luke Stark, for help. She and Luke have quite the history together and she's been in love with him for the majority of that history. It's really too bad she swore off men! Luke takes one look at her, completely transformed since the last time he saw her, and decides she's the one. The Hot Bunch don't play around -- gawd, they're ridiculously hot! 1. All the betting on when Luke would move Ava in, when he'd "give her the business", and then which member of the Rock Chicks/Hot Bunch & friends would be the next to fall. So funny! 2. Good Ava/Bad Ava - Ava's inner-dialogue had me rollin'! 3. Luke telling Ava's mother and evil sisters off. 5. When Ava finally tells Luke she loves him. It was so awesome. **Warning** This book does contain scenes that can be triggering to those who have been sexually assaulted.